This is IT! 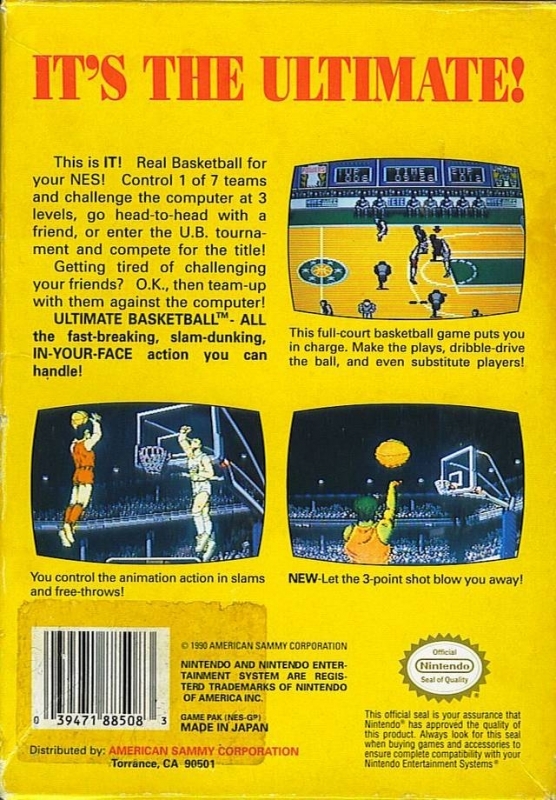 Real basketball for your NES! Control one of seven teams and challenge the computer at three levels, go head-to-head with a friend, or enter the U.B. tournament and compete for the title! Getting tired of challenging your friends? O.K., then team up with them against the computer! 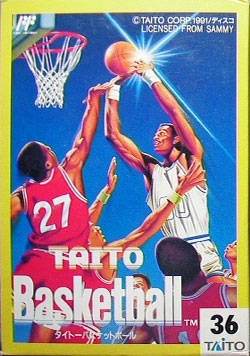 ULTIMATE BASKETBALL - all the fast-breaking, slam-dunking, IN-YOUR-FACE action you can handle! 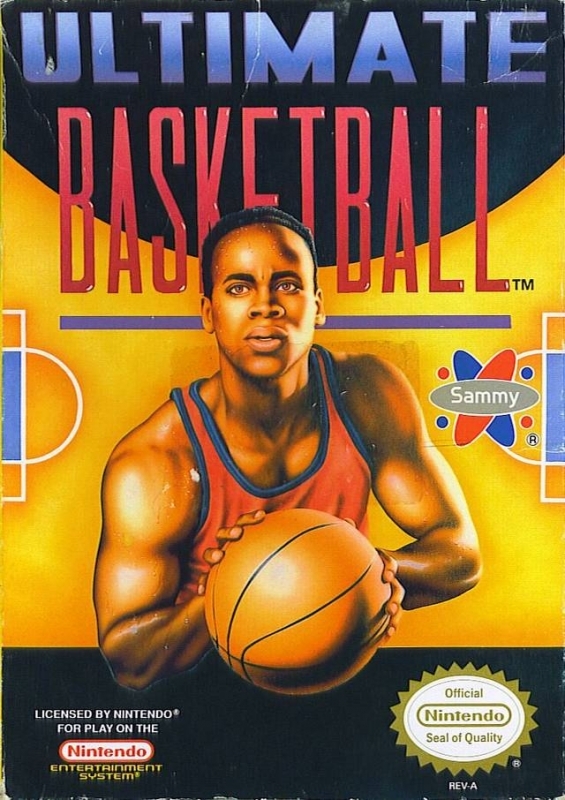 This full court basketball game puts you in charge. Make the plays, dribble-drive the ball, and even substitute players!